This piece was originally published in the Winter 2016-2017 issue of Our Jackson Home: The Magazine. In 1998, one of the most respected scholars in the world made a profound decision. It was a decision that seemed at odds with much of what had previously happened in his life. Jaroslav Pelikan was born in Akron, Ohio, in 1923 to devout Lutheran parents. His father was a Lutheran pastor and his grandfather a bishop in the Lutheran Church. By the age of twenty-two he had completed both a seminary degree from Concordia Lutheran Seminary and a Ph.D. from the University of Chicago. In the following years he held numerous teaching positions before finally settling at Yale in 1962. He was the author of over forty books on theology and Church history. He served as the president of the American Academy of Arts and Sciences. He was one of the preeminent Lutheran scholars in the world. Then, in 1998, he and his wife left the Lutheran Church, converting to the Orthodox Church. Pelikan’s story is fascinating. Why would a man so immersed in one culture, a culture that was a fundamental part of both his and his family’s life for generations, leave? I think that the answer is important. I think that if we pay attention it will help us understand much that is happening in our current society. People are designed to seek. We spend our life, or at least we should, searching out meaning and answers to the questions that are fundamental to who we are as humans. This is a process. The answers we as individuals give to these most important of questions are ones that are refined through the furnaces of our lives. Religion is the most fundamental means we have of giving structure to these beliefs, and as such it shouldn’t be surprising that many people travel through a progression of beliefs before they arrive at the one they feel most accurately and effectively provides those most fundamental of answers. This is even more so the case today when our access to different belief systems is unparalleled. Southern society has, with few exceptions, remained fairly homogenous, especially religiously. There are reasons why this is true for people in the South that might not be as true for other areas. We have remained a more isolated and undisturbed part of the country. The great immigrant migrations of the 19th and 20th centuries passed the South by for the most part and left us whole and undisturbed in ways that other parts of our nation were not. Here, the vast majority of our ancestors having been converted in that great 19th century religious movement known as the Second Great Awakening, the South has maintained a culture of Evangelical Protestantism, and so we have maintained a unique and continuous cultural and religious identity far longer than other parts of the country. This fairly uniformed culture limited the number of options we provided ourselves for answering life’s fundamental questions. Often when people spend large parts of their life inside a certain culture, it can become normal to believe that aspects or beliefs found in that culture are true for or accepted by everyone. This is particularly true of things that are common or pervasive in a society because they seem to need the least amount of explanation. We do them the way we do them because we just do. It becomes awkward or threatening when these most basic assumptions are called into question because we have been found out. We are guilty of thoughtlessness about even the most basic and fundamental things, and then we suddenly find we are uncertain about those things that are so basic to who we believe ourselves to be. What about all those other things that we were already far less certain about to begin with? We are being called to a difficult task, and like any difficult task we shrink from the responsibility. We don’t want to listen to the voices of doubt that confrontations of belief create, to the voices crying out softly, insistently to us to take up our duty as humans, to become seekers, to become pilgrims, because this journey is hard. We intuitively know this and therefore we resist those sorts of confrontations that might provoke these unwelcome thoughts. But this isn’t the only dark side to assumed beliefs. Because they are so fundamental, so basic to who we are, they are easily taken for granted. The actions and beliefs created and understood by one generation are then taught without reasons or meanings behind them, and we run the risk of allowing our culture to die from the inside out. As Pelikan said, “Tradition is the living faith of the dead; traditionalism is the dead faith of the living.” For this not to happen, we must take the time to do the hard work of not just preserving and passing on the actions and beliefs of our common culture but seeking out the reasons and meaning of them as well. This is a constant process, and it rests with each new generation to become seekers again for the answers to the same questions that our parents and grandparents had and find, perhaps, the same answers they found but also, perhaps, to see things slightly differently as well. Our religious views are the most fundamental that we have, the ones we guard most jealously, but opening the gates of our culture is not a danger, it’s an opportunity for us. New beliefs always create questions, challenges, and calls for us to seek out a better understanding our own beliefs or, perhaps most challenging of all, to have our beliefs refined by new and strange answers to old questions. There could not be a better time for us to envisage a similar possibility in our own city. As cultural expressions with their new thoughts, ideas, and cultures enter Jackson, we have an opportunity to look at our own with new eyes. To either embrace our old forms with a renewed sense of purpose and importance or to see areas where ours are lacking and where we can now embrace new forms and actions that will allow us to express our beliefs in better, more thoughtful, and authentic ways. The Orthodox Church has remained separate from the Western Christian tradition for almost a thousand years precisely through a series of loud and high-pitched interactions between Rome and Constantinople that reached a climax during the Middle Ages. And it is through this separation that the Orthodox Church has preserved and developed many practices and ideas different from that rest of the Western Church. It has, in all its various forms, been one of fastest growing churches in America. 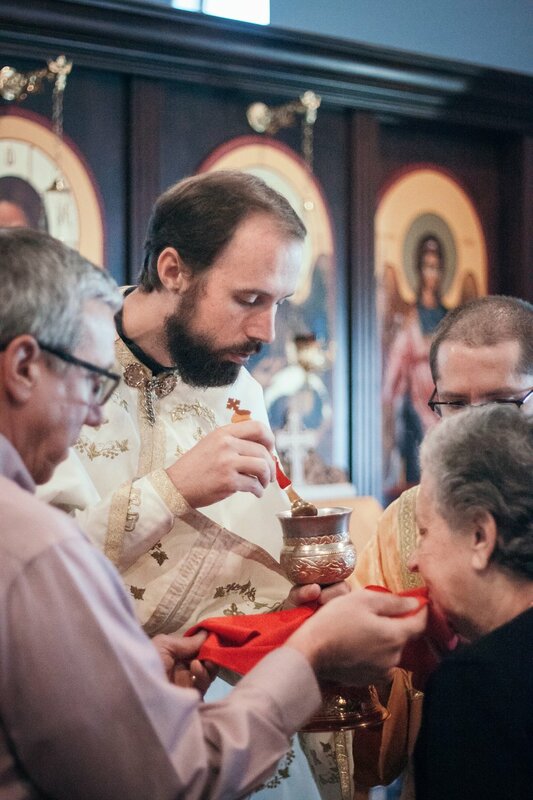 In the last decade, Orthodox membership has increased in the United States by almost 20%. This growth has been even more dramatic in certain states like Tennessee, which saw a growth rate of 80%. This growth is driven almost equally by continued immigration from post-Soviet Bloc countries and from areas of the Muslim world that have seen a rise in the persecution of Christians over the last decade and by converts. According to a 2006 survey, a surprising 43% of the students at the four Orthodox seminaries in the United States were converts. And this culture flux has reached us here in Jackson. 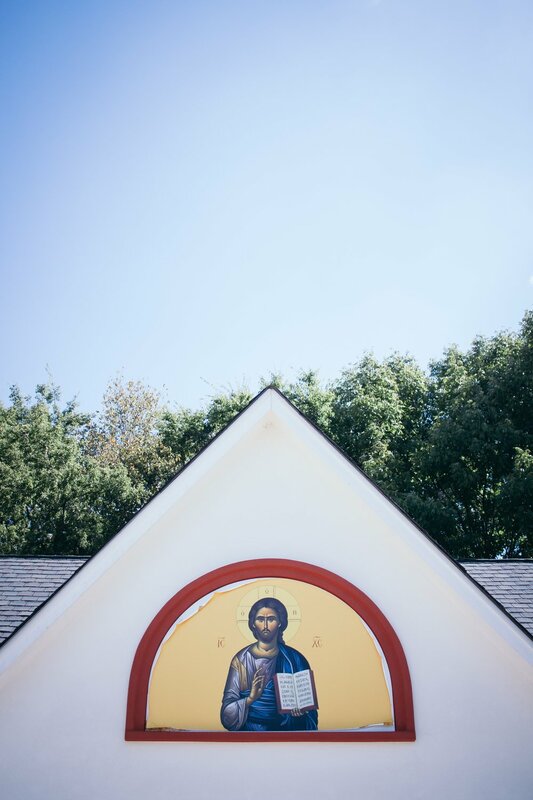 St. Nicholas Orthodox Church began in early 2012 and for the last four years has had a growing presence in Jackson, although many are still surprised to realize there is an Orthodox Church in town. It began operating with a commuting priest until last year when they welcomed their first full-time priest, Fr. Matthew Snowden, who unsurprisingly is a convert to Orthodoxy. Over the last three years they have grown, adding converts and families, renovating, transforming their building, and providing all of us here in the city a unique opportunity that has been long been denied to us. 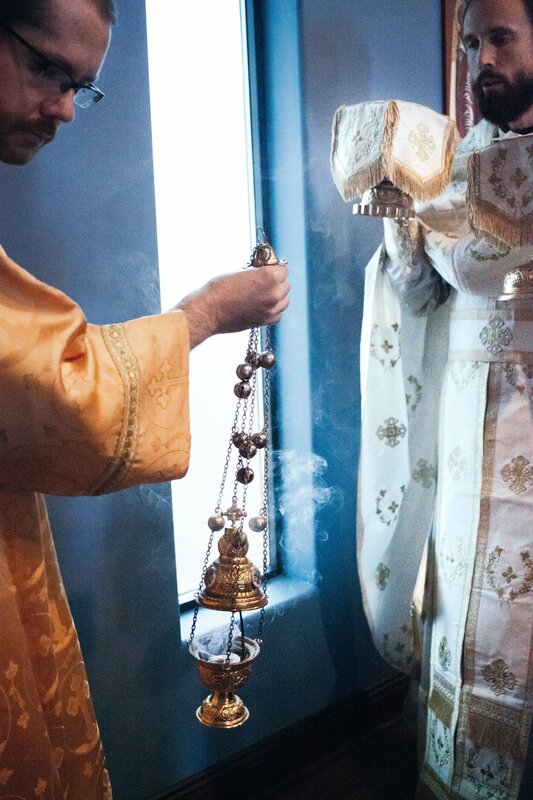 Going to an Orthodox service is a treat for the senses. A beautiful iconostasis of saints, Jesus, or Mary might guard the altar. Bearded priests chant while bells ring and incense burns. A choir sings ancient chants in forms unchanged for almost 2,000 years. It is enough to overwhelm the uninitiated, but in the midst of these new and strange experiences a beautifully woven fabric of worship that has been fashioned over the last 2,000 years is spread before you. New practices and forms are offered to you. Answers—old, well-crafted, and processing a blend of both the familiar and the strange, just like the onion domes that dominate their churches in Eastern Europe—are offered to those oldest of questions. Don’t let the strangeness of it all disturb you. Don’t run away to the safety of shallow traditionalism. Experience something both breathtakingly new and profoundly old, and allow the notes that appear dissonant to shake from you the torpor of thoughtlessness into the great journey of questioning that all men ought to take up as their duty. Have your thoughts and ideas challenged, not so you will change them necessarily, but so that you can seek them and own them and make them truly your own whatever they might end up being. Maybe the only answers you will find will be the ones that you already knew, but maybe you will find something new and wonderful, strange and beautiful. St. Nicholas Orthodox Church is located at 419 Old Humboldt Road in Jackson. 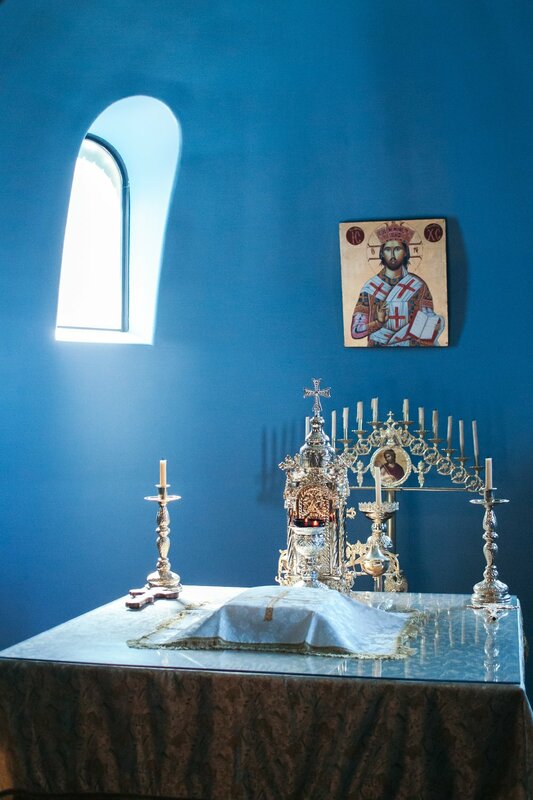 The Divine Liturgy begins Sundays at 10 a.m. To find out more, visit their website and Facebook page. Kevin Vailes teaches whatever they ask him at the Augustine School in Jackson, though if he had his choice he would spend his time ruminating on the intricate complexities of the classical world and trying to get his Latin students to study their vocabulary. Kevin grew up in and around Jackson and went to Union University where he met his best friend and wife Elizabeth. They live in the Jackson’s historic LANA neighborhood in a 100+ year-old bungalow with their five children. He believes that stories are what bind us together and cause us to love and care for something, and he hopes that in sharing Jackson’s stories with you, you will fall in love with Jackson and care about it too.